Skagway’s history and spectacular natural setting combine to create unparalleled sightseeing and recreational opportunities. Poke around on your own, or select from a variety of commercial tours. 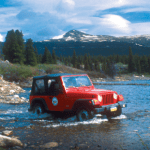 Either way, you will be amply rewarded with the sights and activities in and around Skagway. Peaceful tidal coves and bays, placid mountain lakes, glaciers, soaring peaks – all are accessible by a system of trails in and around the Skagway valley. From the timid to the adventurous, anyone can experience the best of Alaska’s wilderness on hikes as brief as a few minutes to as long as several days. Convenient and remote picnic and camping sites await you. A historic White Pass and Yukon Route caboose has been converted to a National Forest Service rental cabin and sits on a siding along the railroad line, a short distance from Denver Glacier. A public use cabin rests high between the Dewey peaks above Skagway. So regardless of your level of outdoor experience, it’s easy to get away from it all. The Chilkoot Trail, a 33-mile trek through history, is the pinnacle of hiking adventures to be found in the Skagway area. A unit of the Klondike Gold Rush National Historical Park, the trail is enjoyed by thousands each year. The three-to six-day trip retraces the route traveled by the gold-seekers, bringing you face-to-face with hundreds of the relics they left behind. Train or boat service is available to return hikers to Skagway. One of the last remaining narrow-gauge trains, the White Pass and Yukon Route, Scenic Railway of the World offers an unforgettable ride through the coastal mountains and a unique way to view the history of the region. Completed in 1900, the railroad provided an easier route to the Klondike and spelled the death of the White Pass and Chilkoot trails. In the 1940s, the railroad served as the main supply line for the construction of the Alaska Highway, built to defend Alaska from invasion during World War II. Aside from history, many today ride the railway for its breathtaking views of soaring, glacier-cloaked peaks, countless waterfalls and pristine alpine lakes. If it’s glaciers you want, consider booking a flight-seeing tour to Glacier Bay, home to some of the world’s most beautiful “rivers of ice”. Flights average 90 minutes, and regular service makes this side trip convenient to any travel schedule. Or add an additional dose of excitement with a helicopter tour to one of our local glaciers, featuring a bird’s eye of the Chilkoot Trail as well as a chance to land on a glacier and touch ice thousands of feet thick and hundreds of years old. Van and motorcoach tours offer a “sit-back-and-enjoy” introduction to the spectacular vistas of the Skagway valley and beyond. For the “action-oriented,” numerous adventure tours are available to put you in intimate contact with the Alaska wilderness. Possibilities include a raft trip, a bicycle tour through the coastal mountains, and a guided hike to a local glacier combined with a train or helicopter ride. Situated on Taiya Inlet – a picturesque glacial fjord – Skagway’s harbor also offers boat charters for sightseers or sport fishing for halibut and salmon. boardwalks, adventure is always close at hand in Skagway. A self-guided walking tour of the city’s historic district is a popular and splendid way to see the town and surrounding valley. Many residents take pride in their lush and colorful gardens, earning Skagway the official nickname of “Alaska’s Garden City.” A short walk will take you past several lovingly restored Victorian homes, con man Soapy Smith’s final resting place in the Gold Rush Cemetery, and the historic train yards of the White Pass Railway. Tour maps are available free of charge from the National Park Service and the City Visitor Information Center on Broadway between 2nd and 3rd.